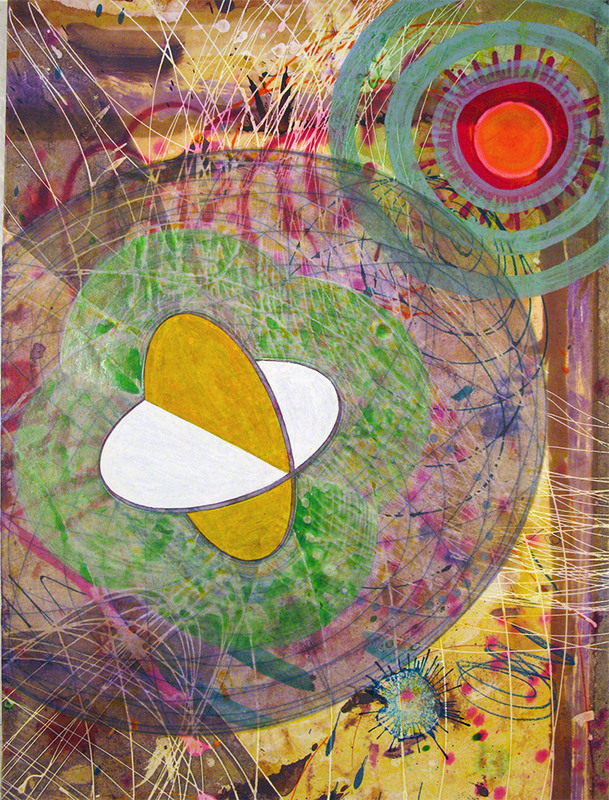 In this two-week solo exhibition, Upfor presents forty-six small-scale works by Julia Stoops. 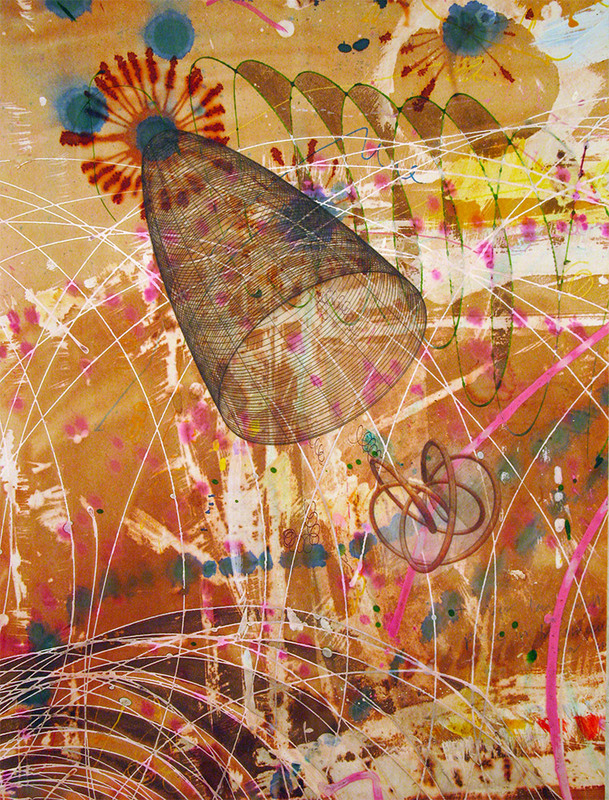 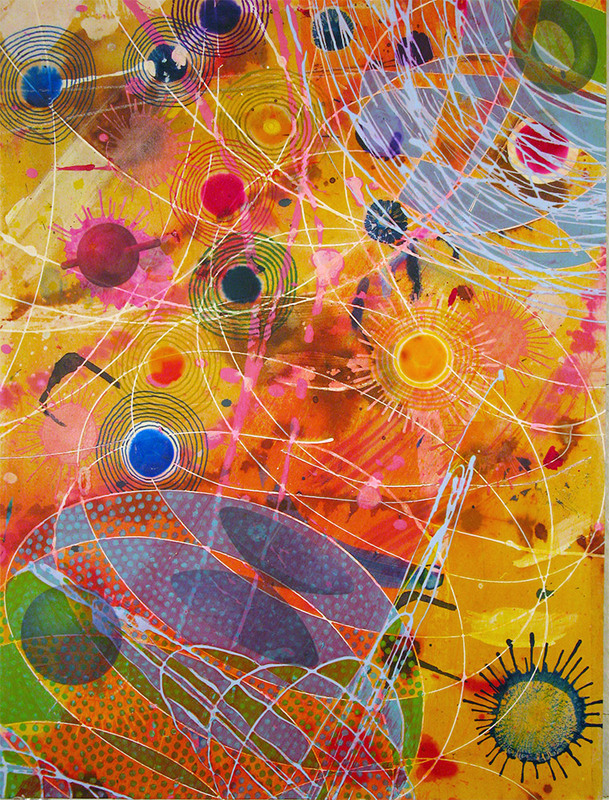 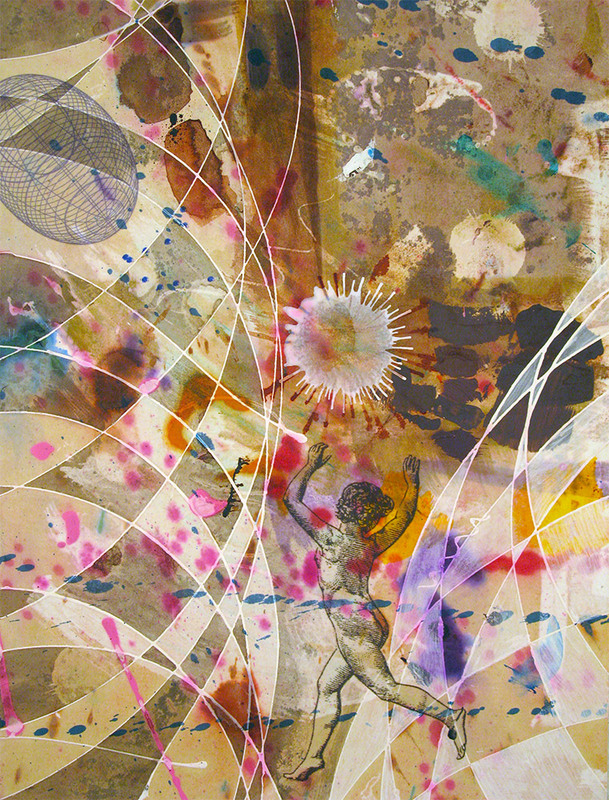 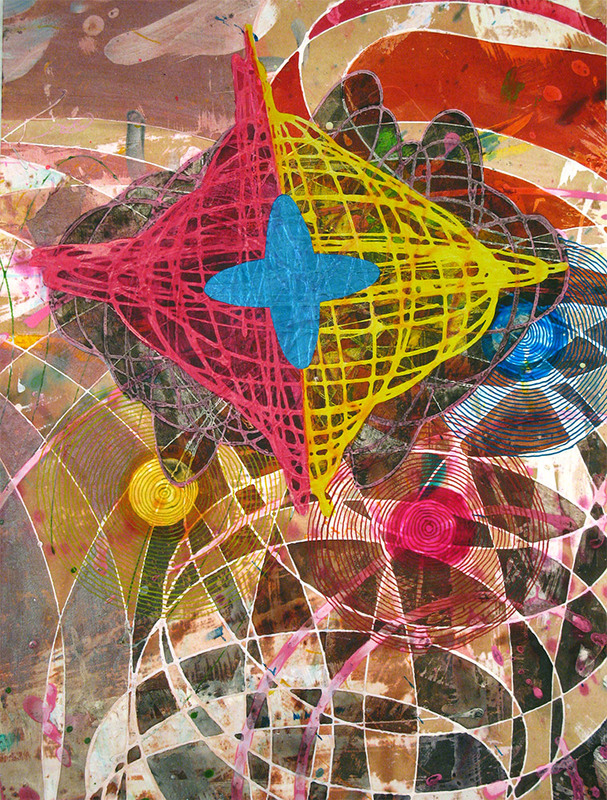 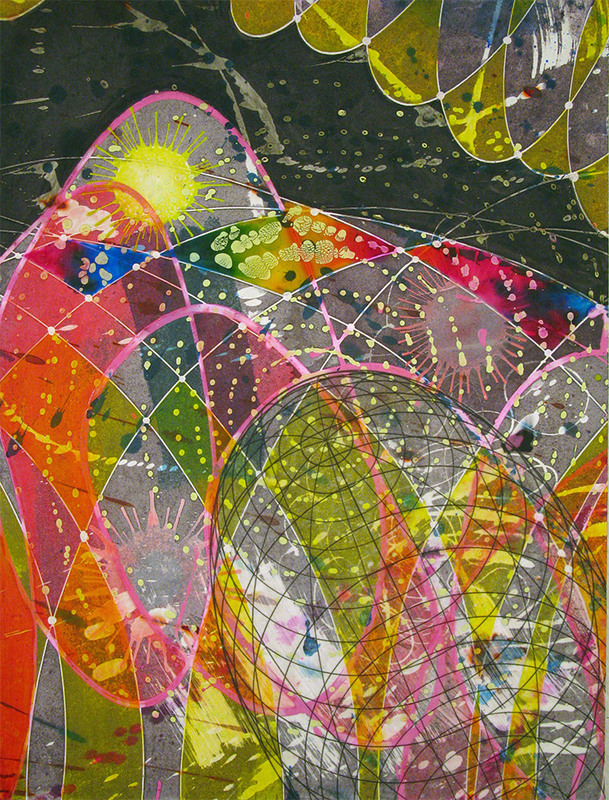 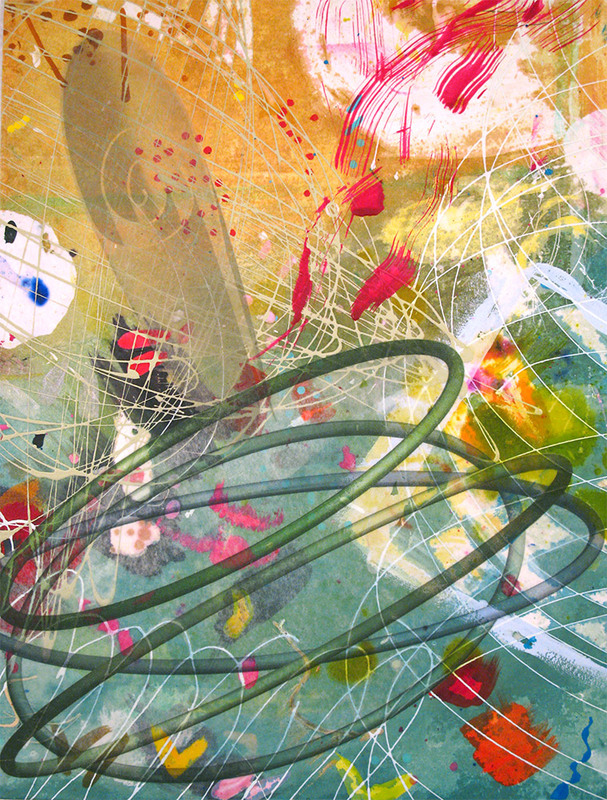 Combining inkjet and artist inks, acrylic and latex paints, collage, abstract imagery, expressive mark-making and translucent layering in a variety of drawing and painting techniques, Stoops' process is spontaneous yet thoughtful, where a sense of play and adept understanding of materials are equally important. 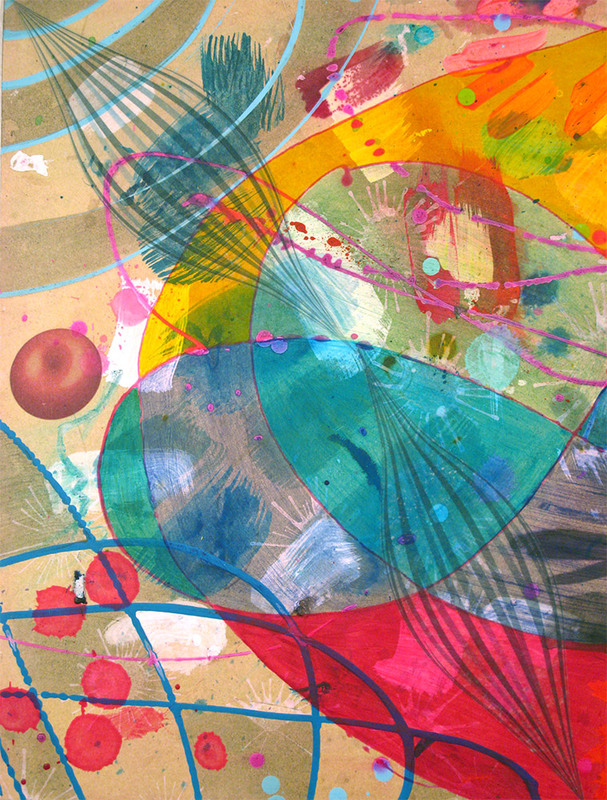 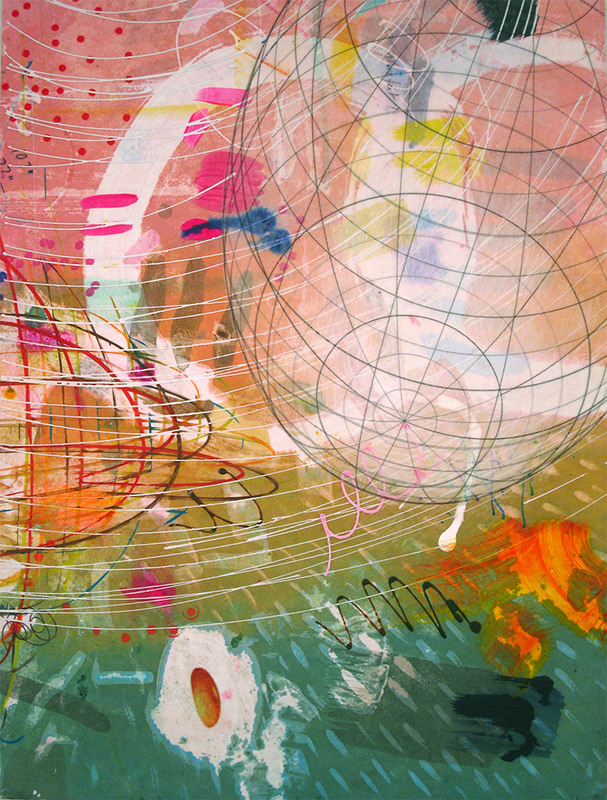 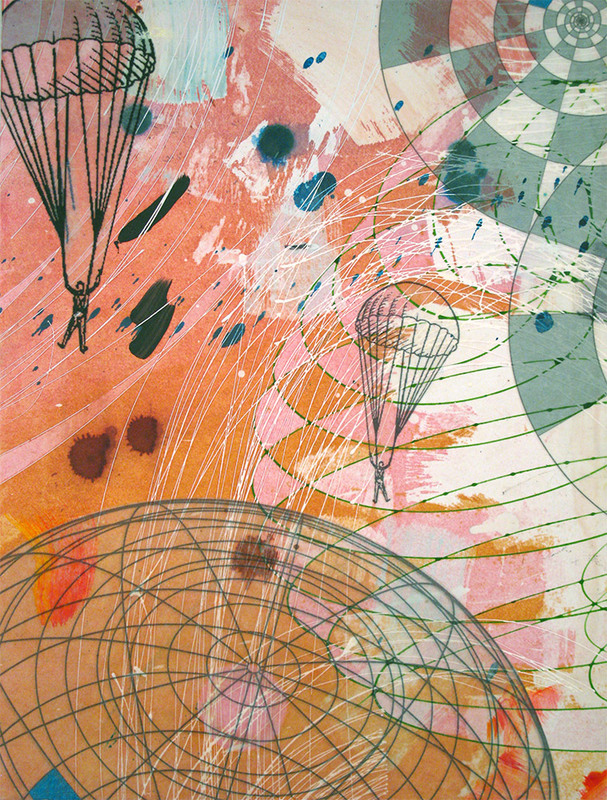 Julia Stoops lives in Portland, Oregon working as an artist and designer. 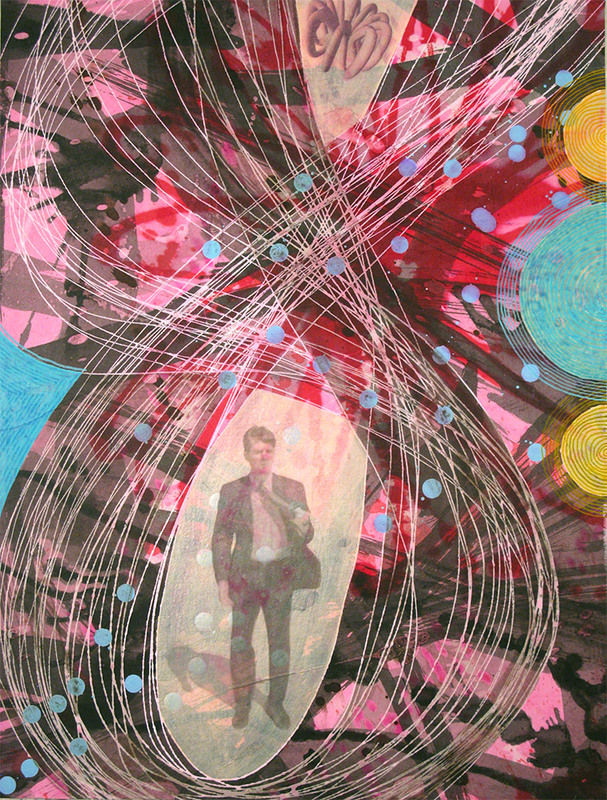 Stoops was born in Samoa to New Zealand parents and lived in Japan, Australia and New Zealand before moving to the USA at age sixteen. 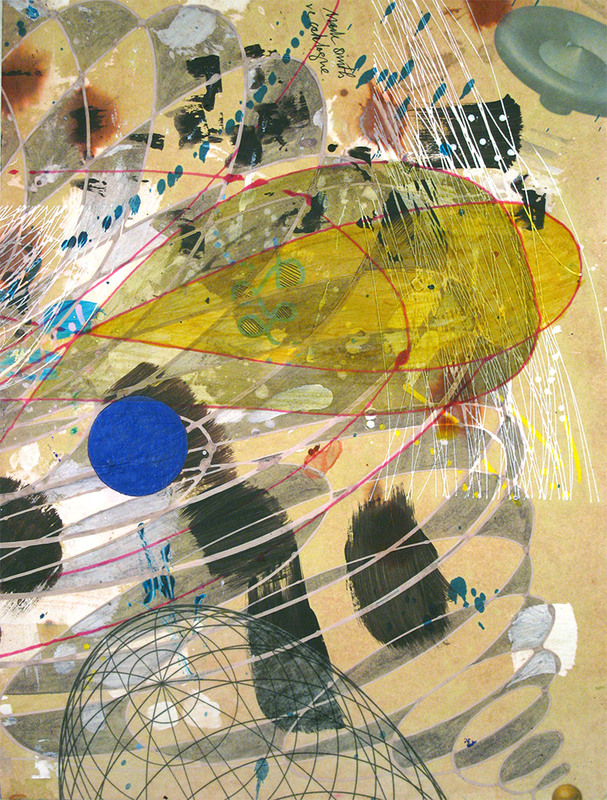 Stoops earned a BFA in Painting and Installation from the Corcoran College of Art in Washington, DC. 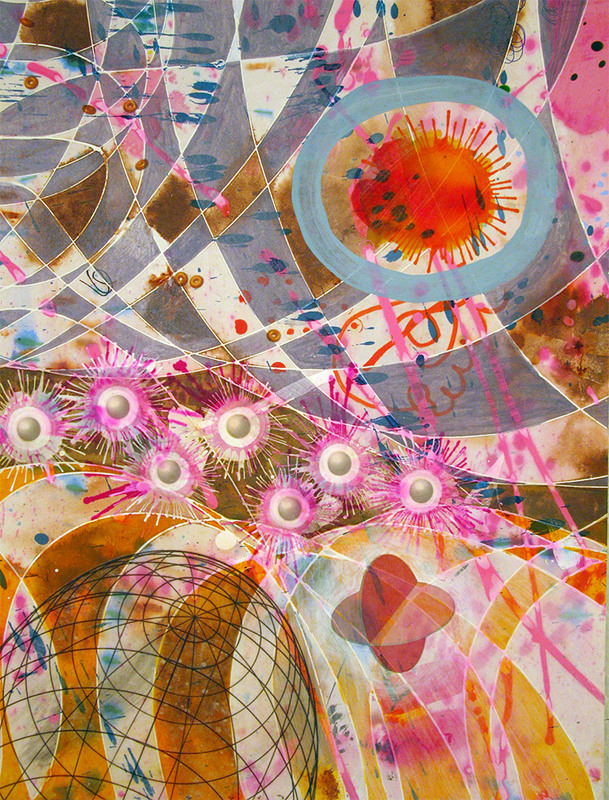 She then returned to New Zealand to earn a BA in philosophy and linguistics from the University of Auckland. 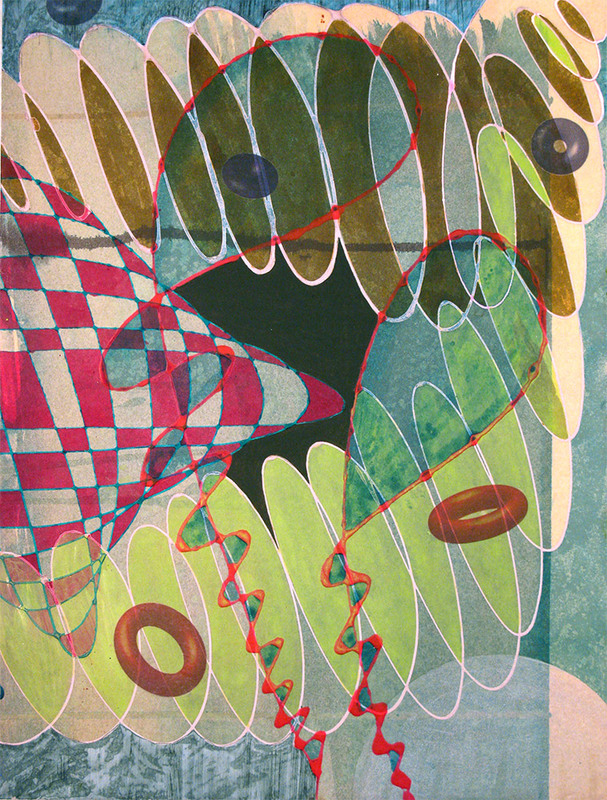 Finally moving to Portland in 1994, Stoops attended Portland State University, graduating with an MFA in Painting. 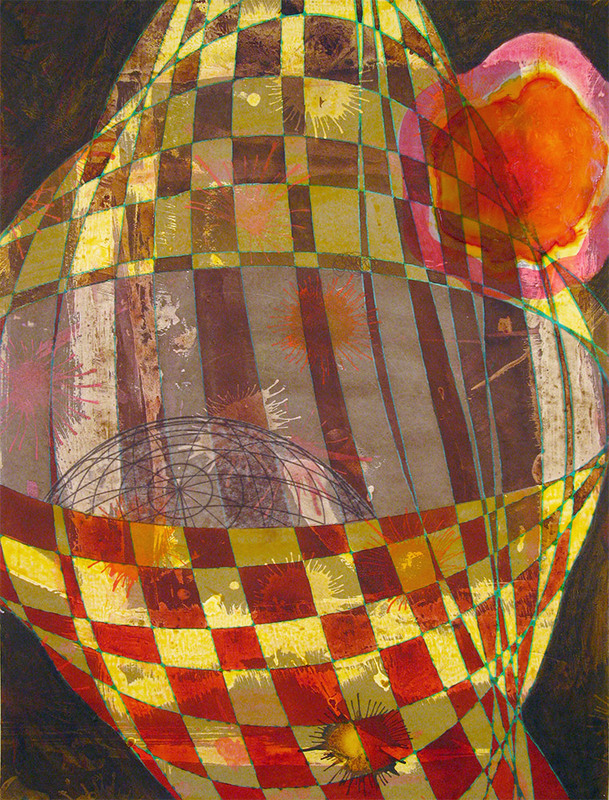 She is a recipient of Oregon Arts Commission fellowships in both art and literature, as well as multiple grants from other institutions, including the Pacific Northwest College of Art and the Regional Arts and Culture Council.